Tron and EOS are two of the top ten cryptocurrencies that are about to launch their very own blockchains and get digital independence. 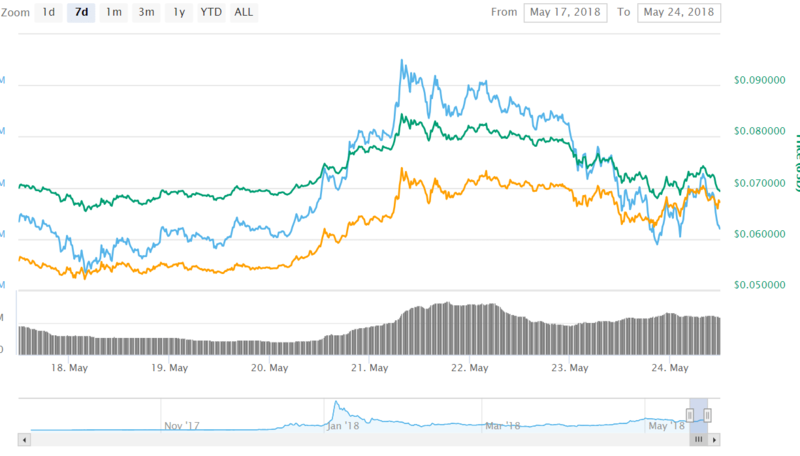 Tron’s Main Net launch is set to take place on May 31 and what will happen is that the currency will be split off the Ethereum ERC20 network and pass onto its own. June 1 marks EOS’ Main Net launch date and is will involve a similar move away from the ERC20 blockchain. For the moment, TRX and EOS are both ERC20 tokens, and this means that they can be used on the Ethereum wallet in transactions. Lots of crypto traders leave their currencies on the exchange, but it’s much safer to use the blockchain directly via a plugin such as Metamask or services such as MyCrypto or MyEtherWallet. There’s another safe option, a cold wallet. Anyway, if you’re the proud owner of TRX or EOS, you will have to move your coins to an exchange that supports the new wallets. MEW highlighted how this could be done in a Medium post, stating that it’s imperative to learn which exchanges will support the change. Binance is one of the recommended platforms because they have already announced their support for both coins and it’s also one of the world’s largest exchange platforms. In the Medium post, you will find all the necessary steps that you need to take in order to “survive” the Main Net launches. On May 25, Tron Foundation will launch a virtual machine that will make the migration of dApps from the Ethereum network to Tron’s much easier and this will not affect TRX holders. By using MEW or mycrypto.com you will be able to access your Ether wallet address and load up TRX and EOS. Fund the deposit address for TRX or EOS in Binance and use it as the destination back in MEW. It’s also important to note that you will need a bit of ETH for the transaction fee. All ERC tokens will be frozen on June 1. EOS developers Block.One will not launch the Main Net, but they will instead create the software for block producers to build their very own blockchains. This won’t affect token holders in any way considering that they have been moved to an exchange that supports the migration. EOS may seem a bit more complicated compared to TRX as it’s practically up to developers to launch their own blockchains on the platform.